i have done it on Toyota pickups just to free up space under the hood, so i'm sure it will be the same on these cars. but besides just that what are the pros/cons of it? what will be needed to do it? could i do this in one afternoon with only a basic toolbox? i'm interested in doing it, but i don't want to do it then it turn out to be a bad idea. CEL wont bother me, its on all the time now anyway. i'm real close to pullin the bulb out. wat do i need engine wise to do it? i know i will need the block off plate for the valve itself, what else? i know i will need the block off plate for the valve itself, what else? thats it, nothing else needs to be done to the engine. Remove EGR valve and replace with block-off plate. Unclip the connector and hide it or cut it, CEL code would be stored in the ECU. 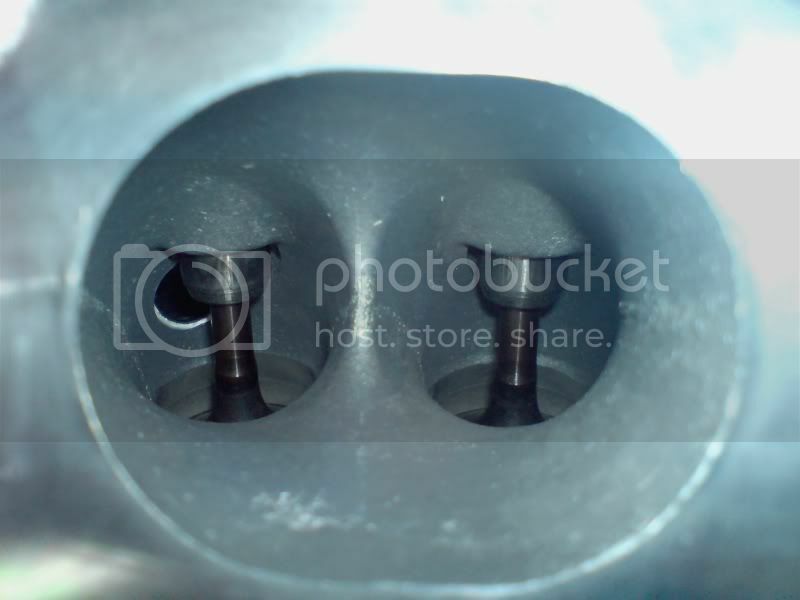 Remove the vacuum lines and other EGR components near the driver's shock tower, unclip one connector there as well, and you're done. so i need to make myself a plate? remove the egr valve, tie the wires back, remove the thing on the driver side with the vacuum lines and cap off those two vacuum lines on the intake? thats it, theres no more vacuum lines hiding anywhere else i need to know about? precisely, everything is on top and easy to reach and remove in the Prelude, nothing is hidden. is the egr also what can cause the dumb idling from the vaccume lines on that side? cause i got my car inspected failed due to egr system but i get a code everyone in awhile for the retarted idling i have to reset everything by disconnetcing and connecting the battery like 3 times a day cause if i dunt need it and its causing it fuk it its gone!! well, lemme rephrase, i do care about the CEL, but not as much as just throwing a code to get rid of the egr. i dunno why but i have thought in my head that the egr is EVIL. HOPEFULLY, eventually Nfrank89 will be able to make his magic little egr CEL bypassers to sell, in that case i will buy one. But as of now my car has been throwin a CEL since i got it for cyl. 1,2,&3 misfire, random misfire and MAP sensoe faulty. BUT IT RUNS FINE!!! so, i dunno, the MAP sensor may be bad, and i may be missing because of my valves been out, i'm workin on gettin pennies scrapped to buy a valve cover gasket set, and possibly a MAP sensor. but as of right now, wat little money i do get goes to buyin gas to get back and forth to school. what is the upside to doing away with the egr valve, does it actually send the exhaust gas back to the intake on these cars, i know it does on toyota trucks, but when i was looking at it earlier today i didn't see where it did, or does it travel back into the intake through those two vacuum lines? is there a company that makes a blockoff plate? i havent found one, and i know for a fact i could make one(some) if others are interested. I believe what you believe: I don't like EGR (hot exhaust fumes being plumbed into the intake manifold should = knock!!!).lol. But from what I have read, the EGR actually has a cooling effect much like excess fuel after combustion during WOT (cooling the combustion chamber). Your easiest bet is to simply get some scrap metal, use tin snips to cut it to the EGR's outline and then wedge that in between the manifold and EGR. But if you really do dislike the EGR valve, buy a plate to block it off. by wat your saying, you mean puttin a plate between the egr and the manifold? which is basically just blocking it from puttin hot gas in my intake but operating and it still look like it there and not make the CEL come on? The egr system is actually pretty beneficial to the operation of your engine. The pros of keeping it defintely outweigh the cons. I don't understand why you dislike it so much, but thats your choice. To bypass it, you block it off with a metal plate. Then you get a CEL. There are a couple ways to prevent this, which are listed on this forum. General tech-> N/A. Start there. You should PROBABLY clean the EGR ports out pretty well before you make your final decision. clogged ports may be causing your EGR problems... After that, if you still feel the need to bypass. Then add your block off plate. to me, its bad because, there is hot carbon-y air going directly into my combustion chamber. i understand the downfalls of removing it, it makes my engine run a touch warmer, but in turn should make me get better fuel mileage, or so it has done on every other engine i have done it to. the reason i posted about my last post was to ask exactly what MilanoH22ALude was saying, i didn't quite understand what he was saying exactly. i didn't understand if he was saying put a plate in between it, or remove it completely. The ECU gets a signal/input from the EGR valve lift sensor (top most part of the EGR valve) indicating a degree of valve lift (ie theoretical amount of exhaust gasses flowing, Honda calculated this as they did for the air flow vs MAP sensor). The ECU (using a range of engine sensor inputs) sends an output/activation signal to the EGR solenoid valve and opens the valve a certain degree depending on conditions. The ECU has internal tables that it uses for reference to determine if the valve is open the correct amount given the engine conditions. So to exploit their engineering, the sensor isn't directly sensing gas flow, but simply EGR valve lift. If the valve stops moving (you unplug it due to removing it or the valve gets clogged) you will get a CEL. BUT if you place a plate (3mm or so thick) in between the EGR valve and intake manifold, then bolt it all together and leave the lift sensor connected (feel free to clean it out so it moves freely), you will achieve two things: No EGR flow but the ECU will still be happy because the lift sensor is still moving around so the "EGR must be working". Sorry I don't have a picture to illustrate. Will take some pics of my spare intake manifold to illustrate. As to benefits of removing it, on a stock engine I would say you are better to keep it there. Fuel maps have been tuned by Honda to have the EGR present. The exhaust gasses dilute the air fuel mixture, have a cooling effect and obviously reduce carbon emissions. Deleting it is fine if you are running Hondata/Crome etc but the stock ECU may not respond so well. I have never actually looked into how the EGR valve's activity changes with throttle position/engine load, but that would be handy to diagnose hesitation and WOT misfires etc. What I will add is that if your EGR valve is clogged and doesn't seal off properly, you will have exhaust gas leaking through, which will lean out your air fuel mixture and lead to misfires. So the EGR is great when its working but I don't like leaning out my air fuel ratio, hence the dislike of the EGR system. Last edited by MilanoH22ALude; 10-26-2010 at 10:45 PM.